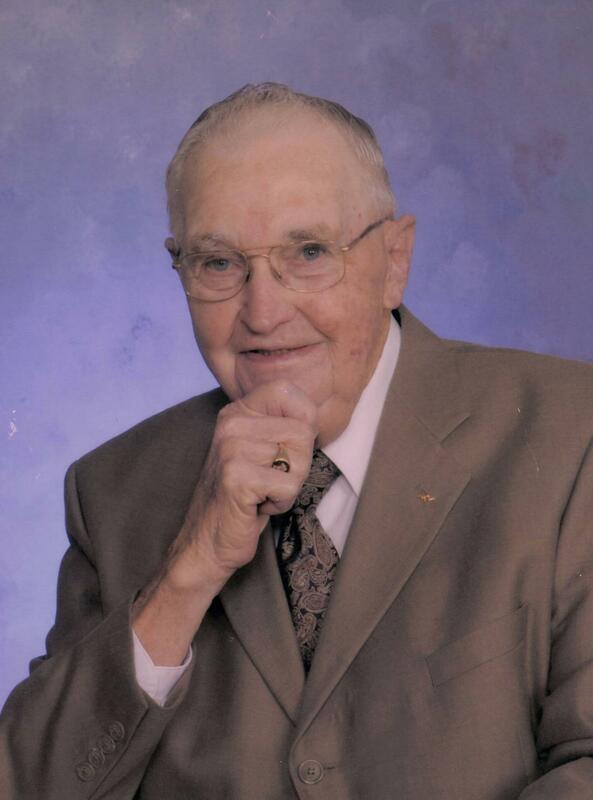 John H. Butterfield, 96, of Maroa, passed away 4:25 a.m. Friday (Aug. 3, 2018) at Hickory Point Christian Village, Forsyth. His service will be at 11 a.m. Monday at Calvert Funeral Home, Clinton, with the Rev. Mary Alice Cunningham officiating. Burial will follow at Salem Cemetery, Decatur, with military honors. Visitation will be from 3 to 5 p.m. Sunday at Calvert Funeral Home, Clinton, with Masonic service at 5 p.m. Memorials may be directed to the Forsyth United Methodist Church. John was born July 27, 1922, in Christian County, the son of Walter and Freda Elder Butterfield. He married Winifred Wolfer Sept. 1, 1946, in Macon County. She passed away July 3, 2000. Survivors include his daughter, Cheryl L. (Glenn) Sample, Maroa; granddaughters, Katherine (Jonathon) Olson, Fishers, Ind. ; and Allison (Keegan) Goodman, Lafayette, Ind. ; four great-grandchildren, Connor and Liam Olson, and Kaia and Kane Goodman; sister, Shirley Rager, Latham. John was preceded in death by his parents; daughter, Carol Butterfield; brothers, Dean and Ralph; and sisters, Virginia Holly and Helen Rigg. John served his country during World War II in the South Pacific in the Army. He was a member of the Forsyth United Methodist Church and a member of the Kedron Masonic Lodge AF & AM 340, Mount Auburn. John was named the Macon County Young Farmer in 1957. John was a grain farmer and managed the Macon County ASC Farm Storage for 20 years. John also served on the Cisco Elevator board and the Cornbelt board for 19 years.